The White River is an important, underused resource in Indianapolis. This event is designed to increase awareness about the River and raise money to protect and improve it and its tributaries. The White River Dragon Boat Race is an opportunity to raise funds for the White River Alliance and enjoy a safe, fun, community-wide competition on this one-of-a-kind resource in Indianapolis. Check out this cool video on why you should become a sponsor! The dragon boats are coming to Indy as part of the 9th Annual White River Festival. The event serves as the Alliance’s annual fundraiser, helping to protect and improve our water. Dragon boat racing originated over 2000 years ago in China where the tradition remains strong, and it’s popularity in the West has been growing since the 1970s. The ultimate team sport, dragon boats are 46-foot long vessels propelled by a coordinated crew of 22 – 20 paddlers, a drummer who keeps the pace, and a steerer who guides the craft. Paddling has gained popularity for women recovering from breast cancer and survivor teams can be found all over the world. This race is co-sponsored by Indy’s own SurviveOars, a Breast Cancer Survivor team with headquarters at Geist Reservoir. Indy’s race will occur at White River State Park with races running from the New York Street bridge toward the pedestrian bridge between WRSP and the Indianapolis Zoo. The inaugural Dragon Boat Race is planned for September 28, 2019 in Indianapolis at White River State Park. Opening ceremonies will start at 8:00am with races beginning at 8:30am. Festivities will conclude around 4pm. One or two 75 minute practice sessions with professional trainers will be scheduled for each team on September 25-27. All teams are required to attend one practice session. Get a priority time slot choice by increasing your sponsorship level! More information about sponsorship/participation levels are outlined in the Sponsorship Packet. Team Captains have additional responsibilities leading up to the event and the day of the event. Details can be found in the Captain’s Packet. Single-team Participating Sponsorships cost $1500 and include additional benefits. Supporting Sponsorships cost $5000 and include TWO boat teams and many other recognition opportunities. For full sponsorship and event details, please see the Sponsor Packet and the Captain’s Packet. Teams can register online or submit the forms in the packet to the White River Alliance. Stay tuned for more information as the 2019 races draw closer. Did your team elect to do some individual fundraising? Click here to find your team and make a donation. 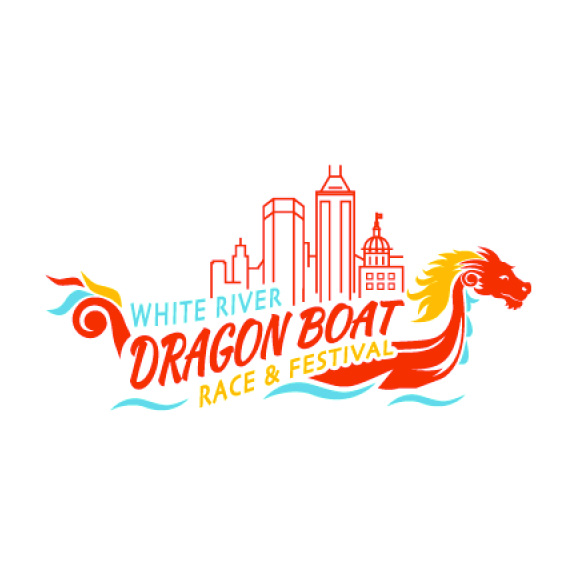 The White River Dragon Boat Race and Festival offers a lot of award opportunities – some Boat Race-related, some not! Visit our Awards & Recipients page for more information. There will be awards and bragging rights for the first, second, and third place race teams, as well as an Outstanding Team Spirit Award. The Outstanding Team Spirit Award goes to the team that demonstrates its commitment to fun and camaraderie by way of team tent decorations, team uniform/outfits/costumes, the best dressed or most enthusiast drummer, team-led cheers or songs, etc. As the annual fundraising event for the White River Alliance, we like to also take time to recognize the important work, commitment, and enthusiasm that is expressed year-round by many members in our community. Three White River Watershed Stewardship Awards will be given out this year at the Dragon Boat Race and Festival as well. Nominations are due September 7, 2018 by 5 PM. (Note, the Extraordinary Supporter of Water Stewardship Award is tied to Dragon Boat Race team fundraising, check out the Captain’s Packet for more information about this important opportunity).